Ready to switch to I-ENTERPRISE Anywhere Cloud Accounting ? Cloud accounting is when you use web-based software to manage your accounting online. It is allow you to work securely whenever and wherever you want. We understand customer might worry about the business sensitive information in the cloud, but there's no need to worry so much. We are work hard to keep your business data in safe. In fact, our cloud software is one of the most secure places to manage your accounts. How we protect your business data ? Here is some explaination. From physical security, your business data is hosted at an environment with the same security technology as bank. All your business data is save into your own computer or server with monitored day and night by IT security experts. So, you will less likely that you will loss your data through thief or damage. From electronic security, your business data is protected by encrypted connection like Virtual Private Networks (VPN). With those tool, viruses and hackers are diffcult to get your business data. Besides, the server and software are upgraded regularly. So far we have english version. We promise in future will add on more languages. You may direct contact to our HQ office general helpline : 04-7725897 or 04-7725925, or email to support@i-enterprise.my for further action. A-17, Tingkat 1 & 2, Kawasan Perusahaan Tandop Baru, 05400 Tandop, Alor Setar, Kedah DarulAman Malaysia. I-ENTERPRISE Anywhere Cloud Accounting, an ADVANCEDSOFT online/cloud based Accounting Business Solution, help small or medium company owner streamline business operation, create Tax Invoice on the go, manage your GST Submission and accounting easier and faster. View business financial performance report anytime, anywhere with any connected mobile, tablet or computer. For Pc, Mac, Android or iOS. 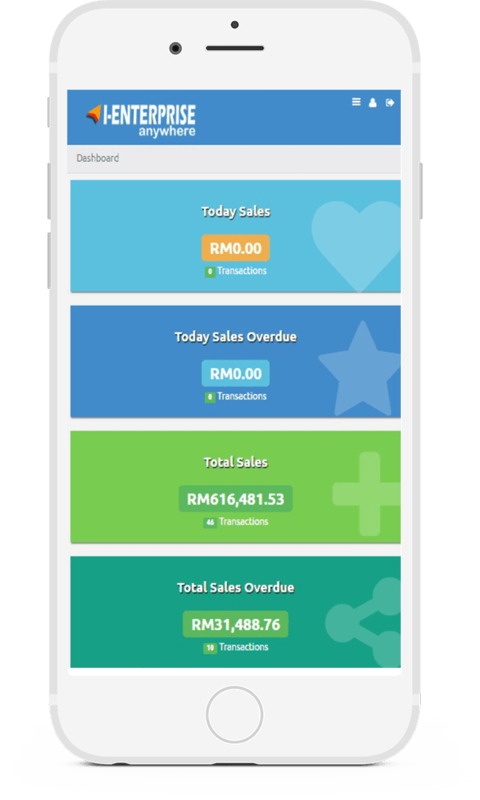 © 2017 ADVANCEDSOFT TECHNOLOGIES SDN BHD. All Rights Reserved.